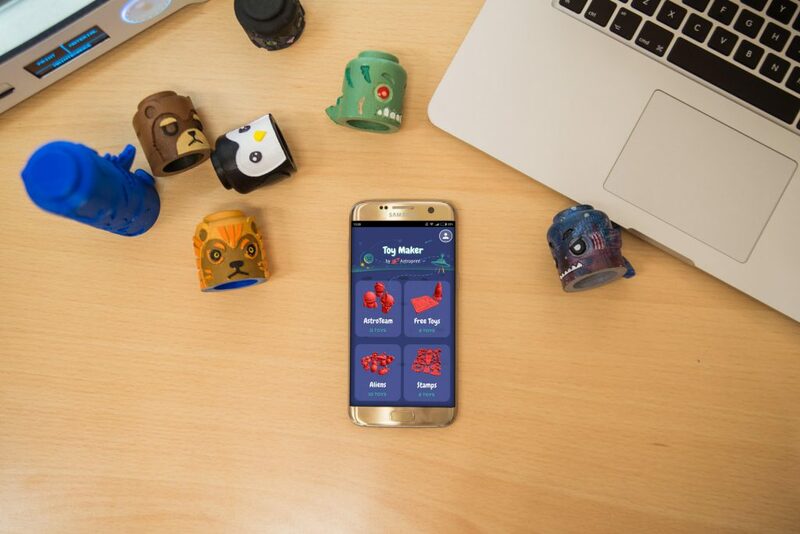 Toy Maker is an app full of free and premium 3D Printable toys for children. 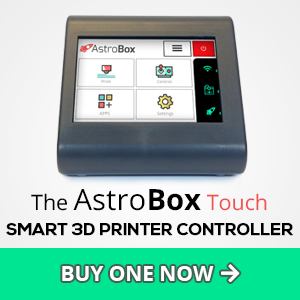 It uses the AstroPrint Cloud to slice, distribute, and start the print on your 3D Printer. 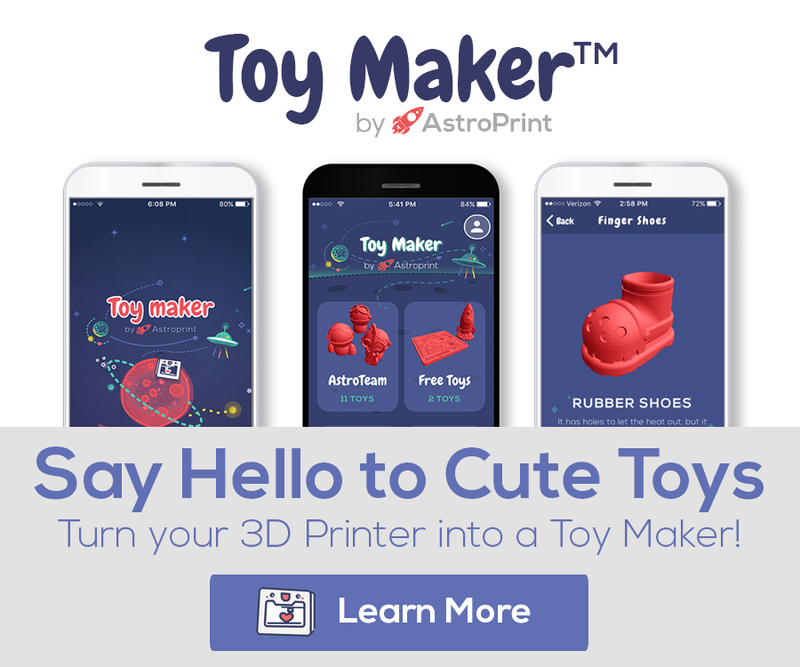 Toy Maker allows children to browse a collection of 3D Printable toys and print them with a few clicks using the AstroPrint® Cloud Platform. The best way to experience Toy Maker is to download and play around with it. It is available for FREE on both iOS and Android. Instead of buying toys, you can 3D Print them at home while bonding with your child with Toy Maker. 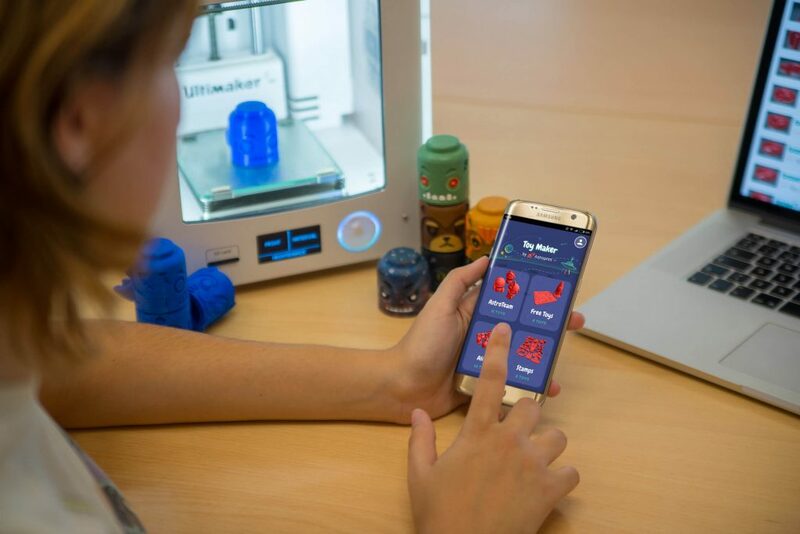 Toy Maker is a great way to teach children about technology and 3D Printing while developing their creativity and imagination. 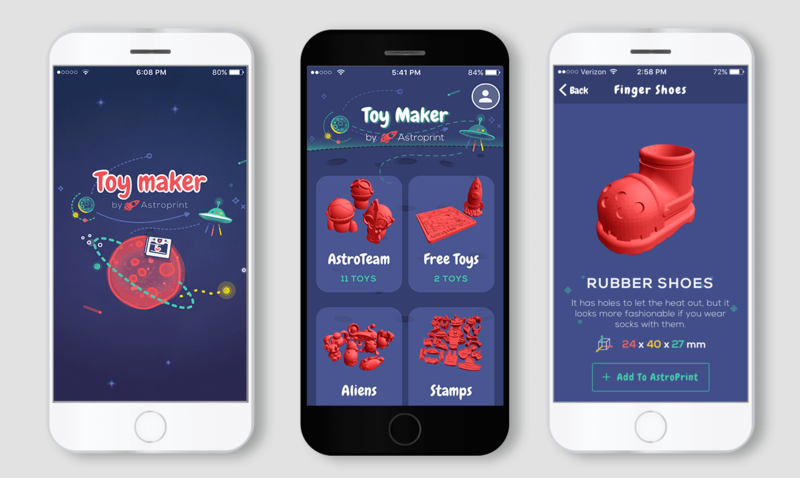 We also built Toy Maker as a reference app for developers and designers interested in plugging into a content distribution platform like AstroPrint to reach Desktop 3D Printer owners. Who should consider using The AstroPrint Cloud for content delivery? Those are some obvious examples of how you could use AstroPrint for content delivery. The possibilities of how content could be delivered to 3D Printer owners on AstroPrint is ENDLESS and is only limited by the developers own imagination.